Greetings from Azeroth and happy Feast of Winter Veil, which is our winter holiday celebrations. Many things have happened to me and my siblings since the last time I wrote you. As the elder Death Knight brother, I often break ground in new areas ahead of other members of our family. Several of us have progressed to level 85, or are almost at that level. It has been a long hard struggle against challenging foes, but we have helped each other with equipment, crafted materials and funds. One of us has even visited the new continent of Pandaria, although she finds it very challenging, but more on that from Candravia later in our note. There have been minor accomplishments too, such as Thalmatos and Candravia helping some of the others with farming for materials to increase their First Aid crafting skills. At higher levels, first aid can be a real benefit for many classes since it allows quick recovery from battle damage. Currently I’m working in the desert of Uldum helping the cause of the Ramkahen. Not only do they have nice gear as rewards for my efforts, but they sell a camel mount which I will get when I reach Exalted with their faction. In our travels we have discovered some very interesting places. The entire continent of Northrend, home to the Lich King, was exciting for its sights and challenges and wonderful for its music. After Northrend we worked in the various areas of Vashj’ir, Mount Hyjal, and Deepholm. And as I said, I’m now working in the desert kingdom of Uldum. Vashj’ir is especially noteworthy since it is a vast underwater area with sea shell creatures the size of cities and huge submerged ruins of past civilizations. Mount Hyjal is the place of forests and devastated mountains where the druids are attempting to hold back the Cataclysm. And Deepholm is the vast underground cavern where both factions are attempting to prevent the collapse of all of Azeroth into the maelstrom. 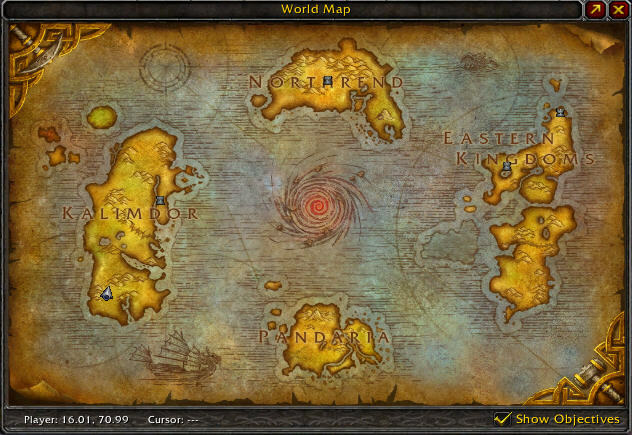 Last September, the continent of Pandaria was discovered in the South seas. This new continent is being conquered by both the Horde and Alliance, but there is a race of powerful Pandas there many of whom are of the Monk class with skills that have never been seen before. Some of the Pandas have joined the Horde and some the Alliance, and they have even taught their monk skills to some of the other races. The world of Azeroth is undergoing a great change since this discovery. We all hope to participate in this discovery after we become powerful enough. So far, we have been working almost exclusively alone to level up using Quests. Since we are using the X-Elerated guides, this has worked well. These guides lead us through an area in the most efficient manner so that we don’t waste a lot of time looking for the next quest or where to complete it. So far these guides do not cover Pandaria, but I’m sure that an update is on the way. Occasionally, we take a break and use the Dungeon Finder to work with another small team of folks from around Azeroth to complete special areas called Dungeons. These are often, but not always dark and forbidding caverns, but sometimes challenges to take a town in the desert or an ocean or marsh area. 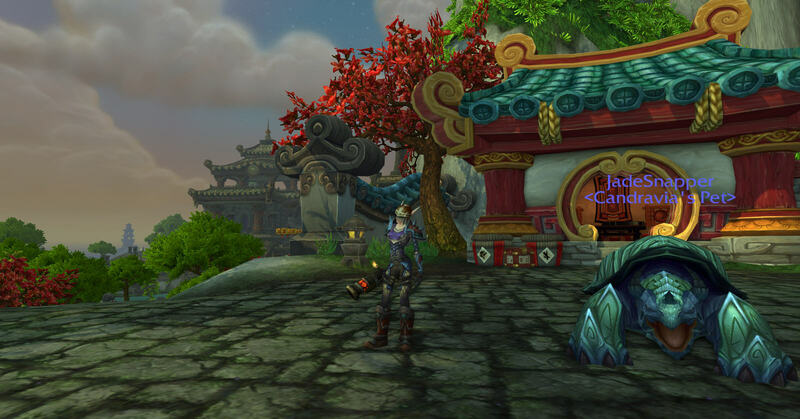 These challenges allow us to get better gear to fight on in the wide world of Azeroth. As dungeons are completed, one can use the finder to only select the dungeons that one has not completed. This saves doing a dungeon over and over again. 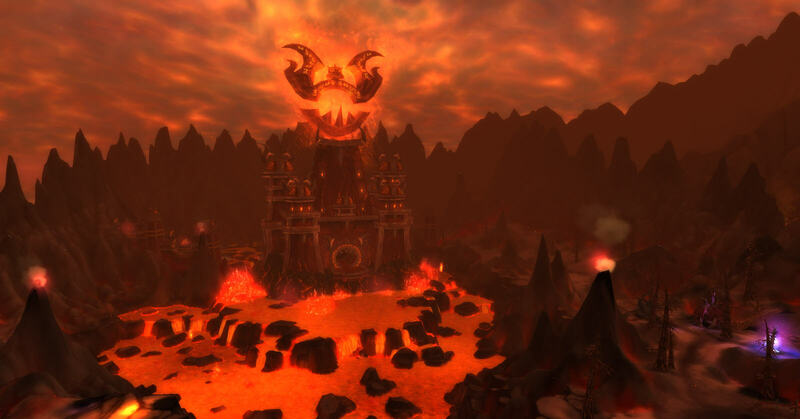 These are the heroic dungeons for Cataclysm. As you can see, some of the dungeons are locked since I do not have good enough gear to accomplish these. As I said, so far we have spent our time working solo, or in Dungeons, but the best gear, mounts and achievements are only available when one works in a group. The pinnacle of social achievements in Azeroth are Raids, where 10 or 25 people work together on a very hard objective. To do Raids, one must be a level 85 or higher character, so that we are only now in a position to work toward raiding. Also, many of the best mounts and gear are only available from Heroic Dungeons, which are high level dungeons which require better gear to accomplish. For example, the Volcanic Stone Drake mount is only available when one has completed about 30 dungeons in Heroic mode. We are now at the point where we will be talking to our guild to find other members who are interested in these achievements. It may be that we will need to move to another guild to find folks that want to work on these dungeons. The world has a Dungeon Finder to pair up folks that are working on dungeons, but the folks that use this come from many different “Realms” of Azeroth and one cannot make lasting friendships with them. For example, me and my siblings live in the Galakrond Realm, and there are over 100 realms of Azeroth. So one can work with folks that the dungeon finder puts together from across these realms, but after the dungeon is over it is not possible to communicate with these folks again to continue working with them. 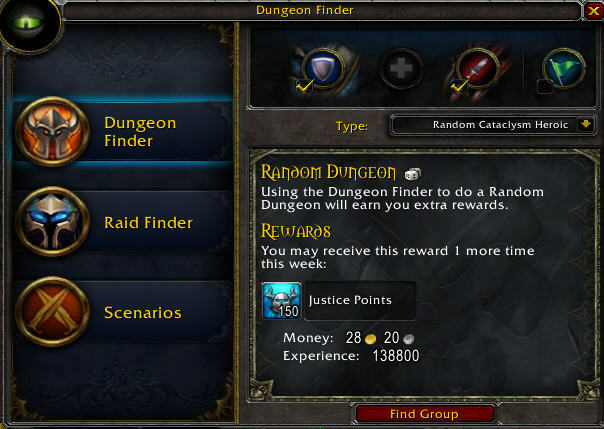 As a result, the Dungeon Finder is more like a Dungeon Grinder, with folks staying only long enough to complete the dungeon, and the immediately going on to something else. This is no way to be social or to accomplish any long term goals. We will be looking for guild mates who want to accomplish the Heroic Dungeons and Raids so that we can progress. Hello. Happy Feast of Winter Veil. I am a hunter and like my Death Knight brother I have recently reached level 85. I’ve recently visited Pandaria and as you can see I’ve obtained a powerful Jade Snapping Turtle to help in my battles. I am the first to venture to the new continent of Pandaria and I have found it quite challenging. Even with the gun that I was given as I left the ship that brought us here, I found it very difficult to kill any of the foes here. I need better equipment than can be obtained with Solo leveling in the previous areas of Azeroth. I will need to work my guild mates to obtain heroic gear to work here. A guild mate was generous enough to provide some powerful rings that she made and a helm, which is leather and not the mail that I’m used to, and a mail cuirass. These, and the boots that I obtained in a early quest make it possible to fight here, but it is still very difficult. As you can see, Pandaria is a beautiful place and I look forward to exploring it more as I progress. I’m sure we all will have fine adventures here once we get the right gear. As you can see, many of us have reached high levels, but there is much work to do. Some of us are finding the battles more difficult. For example Gallathivia has had trouble doing solo quests, but she is quite effective in dungeons where she works with a group. Her light weight leather armor can be a disadvantage for her melee dagger skills. Our druid brother has been taking a break. I’m sure that we will get back to him in the future. Also, Talahandi is our pandarin monk sister. She grew up in Pandaria, has joined our Horde Faction, and is currently working in the Silverpine Forest.